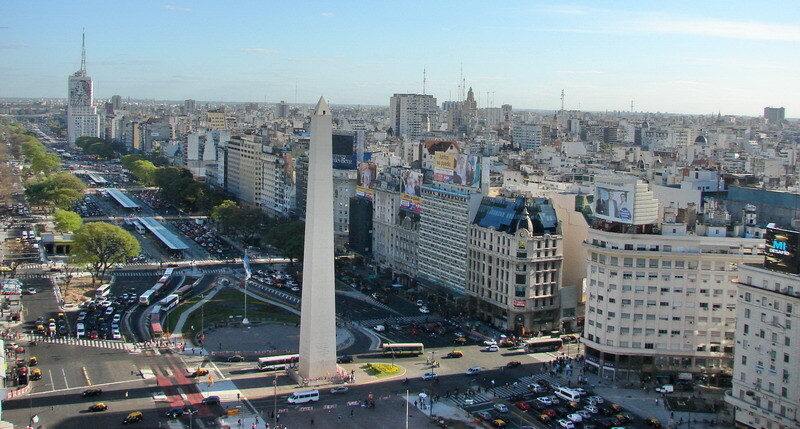 I publish here accurate information about rankings and awards of Buenos Aires, always based on the interest for visitors and tourist to this city, I define the News according to my experience as private tour guide Buenos Aires and the feedback of my Customers. The prestigious Italian tourism magazine Travel365 awarded (like it happened many times before) the Teatro Colon Opera House as the most important of the World, after a deep survey between many music and dance artists all around the world and modestly as private tour guide Buenos Aires I can tell it’s a wonderful place. The Teatro Colon Opera House in Buenos Aires is an experience into the experience of visiting the city, with a perfect (literally, it was tested) acoustic, its giant size (the largest classic Opera House of the world) and its lavish neoclassic decoration. I use to join my private tours in Buenos Aires Customers to visit the place, being there no less than a dozen of times, and also attending to a couple of Ballet plays, and I can testify is so beautiful and charming. 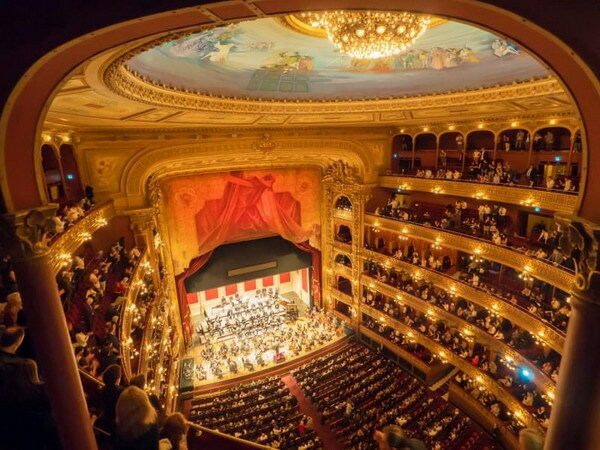 During my private tour in Buenos Aires the sight of the Teatro Colon Opera House is included and according to your tastes we can visit it together. 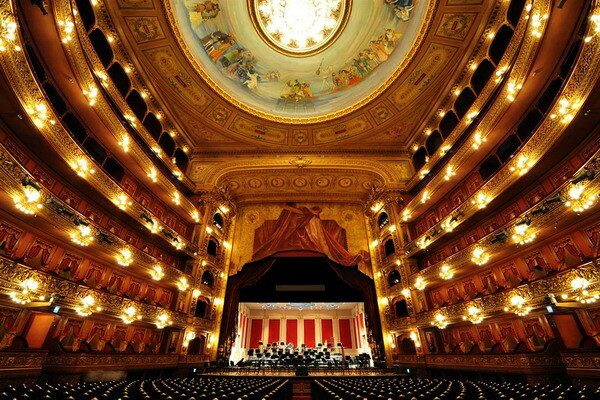 The ranking includes many Italian Opera houses, but the surveyed election set this Argentinean place at the top. 15. San Carlo Opera, Napoli. Selected among projects from 57 different countries such as China, Germany, France, Great Britain, India, Japan, Spain, Switzerland, United States, Korea, Canada, Mexico, Russia, Australia, Brazil, Chile, Denmark, Finland and many ohers, the Metrobus of the iconic 9 de Julio Av received the award for "Best Transportation Achievement". Its nearly 2-mile stretch runs exclusively through 9 de Julio Avenue, the widest in the world with its 360 feet wide and its 11 lanes to each side. The Metrobus project was heavily criticized for the change in physiognomy and the ecological damage it would produce by removing 477 trees. However, 98% of them were transplanted to other sectors of the same avenue and other parks. 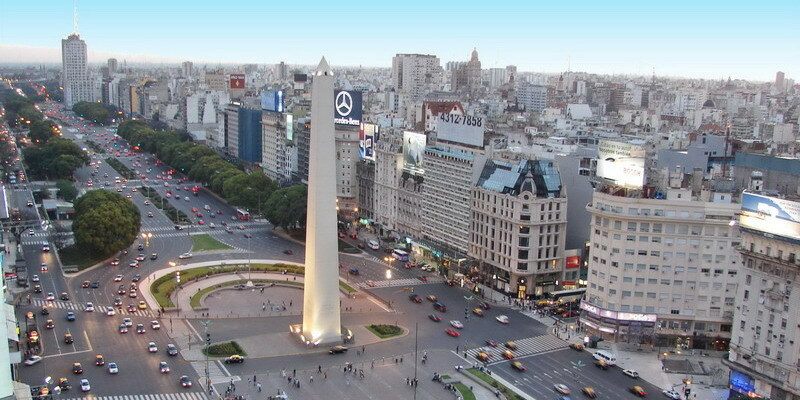 The modern stonemasons of the Metrobus added almost 1000 more trees, which means the 9 de Julio Avenue counts today with 1854 trees and continues being standard bearer of this city that astonishes the tourists by its greenness. On the other hand the saving of travel time and the elimination of bottlenecks prevents the emission of 5600 tons of gases per year. By unifying all the traffic from the narrow parallel streets, the Metrobus opened the door to the pedestrianization of the microcenter of Buenos Aires, placing even more trees and making it healthier. By the 9 July Metrobus Av is used by 255,000 people per day, which take 50% less time. Likewise, it is important to highlight the clarity of all the signs. They discovered that pedestrians need to see from a distance the warning signs of bus stops! Feared by taxi drivers and private motorists, the Metrobus has shown that time and stress also decreased for them. Important: This award is not awarded to projects, but to concrete works and with results, all the information stated in this article has been verified after almost four years of existence, since it was inaugurated in 2013. The jury of the Transport Achievement Award considered that for its realization it was necessary the cooperation of different political sectors such as the National Government and the Municipal Government, who are staunch opponents in almost all the other questions. Important advice for tourist: As a private tour guide in Buenos Aires I must warn you when you cross this wide Avenue and you reach the exclusive lanes, the buses are moving in the opposite way than the cars, so you must look to the other side.